There are so many things to love about summer – visits to the beach, having a BBQ in the backyard with the family, heading to the closest swimming hole. People mostly have positive associations with summer. But, then there’s the heat. The heat of summer can be nice when you’re out for a day of splashing around in water, but less so when your home is suddenly stifling and you’re sitting there feeling miserable. When you’re cold at least you can curl up with a blanket, heat’s a little harder to ward off with simple remedies. In addition to the discomfort it causes, heat can have serious health consequences. In fact, the CDC estimates that approximately 700 people die from exposure to extreme heat in the US each year. Portable air conditioners can feel like a luxury to some, but they serve an important purpose beyond basic comfort. Don’t feel like you’re being oversensitive if you find the heat unpleasant and want to find a solution – cooling off when it’s hot outside can be important for your health! 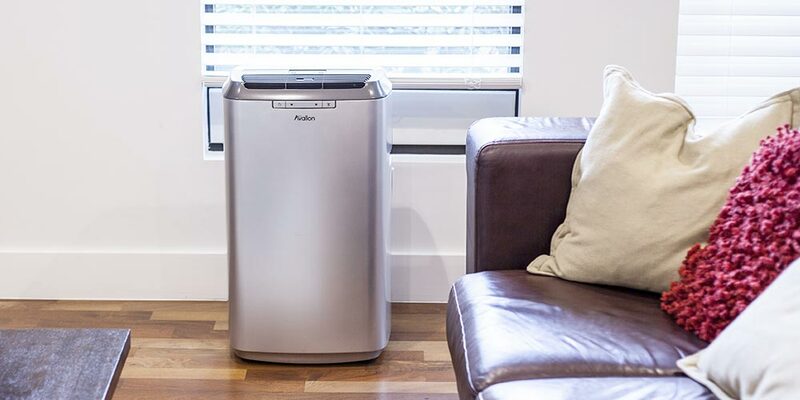 Portable air conditioners aren’t just a smart option for people who don’t own an AC unit, they’re also a great way to save money and slash the amount of energy you use. In fact, there are many benefits associated with these AC units. For homes that already have central air conditioning, a portable AC unit can help you lower the temperature of a specific area that you spend a lot of time in. Not only does this keep you comfortable, but you will save on energy costs as you are not having to cool your entire home. This is especially beneficial if you primarily use only one or two rooms in your entire home. Cooling a whole house with the goal of keeping one room cool is far less efficient than simply cooling one targeted area. Whatever reason you have for starting to consider a portable air conditioner, it’s important that you find the right portable AC for your space before making a purchase. To help you find the best portable air conditioning unit for your home and lifestyle, here are the main things you need to know to help you make an informed choice in your search. If you buy a portable air conditioner that’s not built to do the job you need it to, you can count on disappointment. You need to find a product that will work in the space you have available, at a cost you can manage, while meeting all your main needs. To find the portable air conditioner that checks all the boxes, make sure you consider all of these factors during your search. Portable AC units can range from around $150 to $800 for home versions, and go over $10,000 for units for commercial use. The difference in cost can relate to a lot of different factors, the main one being how powerful the air conditioner is. 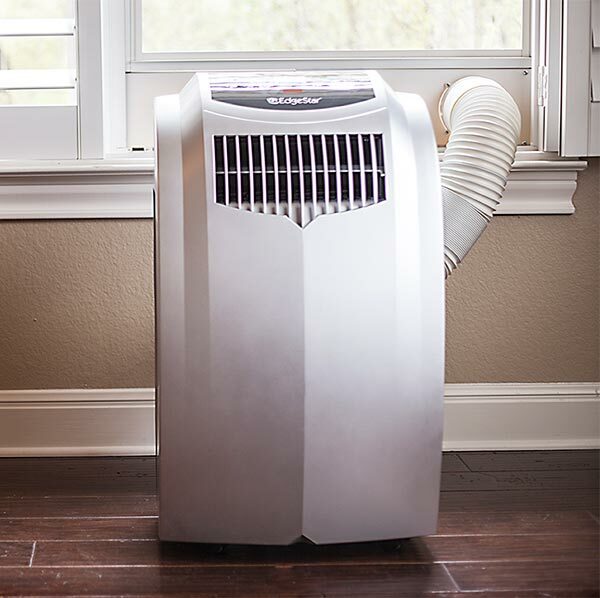 If you want a portable AC that will cool a large living room space, then you should expect to pay more than for one that’s designed for a small bedroom. Many portable air conditioners also double as heaters or dehumidifiers and those extra uses will usually tip the cost upward, as will extra features like remote controls or programmable timers. As with most products, going with a brand known for making quality portable air conditioners that will last a long time may cost you more upfront, but save you money on not having to bother buying a new one for many years to come. As you likely know, air conditioners use a lot of energy, so the price tag on the product itself is a small part of the whole story of what a portable AC will actually cost you. According to Energy Star, about 13% of an average home’s energy bill goes to cooling costs. Make sure you take energy efficiency into consideration when considering which options are the thriftiest. And finally, don’t forget other ongoing costs, such as replacement air filters. Find out how much a replacement filter will cost and how often you’ll need to buy a new one. If the filter needs to be replaced frequently, those costs will add up fast. Some people buy portable air conditioners with the intention of keeping them entirely in one room. For others, the “portable” part really matters and they want to be able to move their AC unit from room to room or place to place. If you fall into the latter category, then it’s important to choose an air conditioner that you can move easily. Be aware of both the size of the air conditioner and its weight. Will it fit in your car? Can you reasonably pick it up on your own? Does it come with wheels for easier portability? Even if you aim to keep it in one spot for the long term, you need to make sure it will fit in that spot. Measure the space to be sure the product specifications match what you have room for. And consider if you’ll need to re-arrange the room for it to work in the spot you’ve chosen and whether or not you’re okay with that. For many buyers, the size of the air conditioner won’t matter as much as the size of the space it cools. 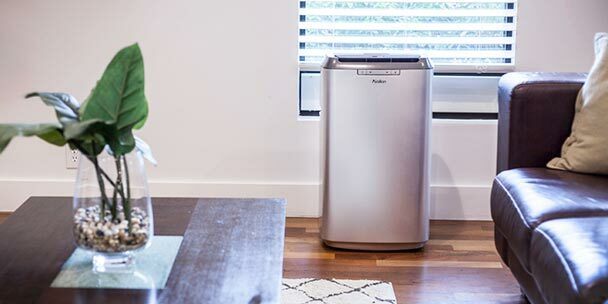 Most portable air conditioners won’t cool an entire house or apartment; they’re more useful for cooling specific rooms, such as a bedroom or living room. What you want to look for then is how big of a room they’ll cool. Manufacturers use BTUs to measure how powerful their air conditioners are. Generally speaking, the higher the number of BTUs, the bigger the room an air conditioner will keep cool. Many manufacturers will also specify the size of room a air conditioner will work in, but to give you a better idea of how BTUs you will need, we’ve created the following chart based on different room sizes. Keep in mind that walls and doors will affect how well the cool air can travel. If you have a 1,000 sq. foot apartment with several rooms and you’re hoping one 18,000 BTU portable air conditioner will cool the whole space, there’s a good chance you’ll be disappointed. In that case, you’d be better off investing in a weaker AC for each room, or moving your portable AC around to the different rooms according to which one you’re using at the time. Additionally, you also need to factor in fluctuations of the ambient heat each room receives. For example, if your bedroom gets hit with sunlight for most of the day, then the ambient heat in that area will naturally rise. The same often happens with different appliances, such as an oven or range, that create heat when in use. If you’re looking to cool an area that fits into these scenarios, then it would be wise to take this into account and go up in BTU’s. Depending on how you use the AC unit, you may see an increase in the amount of energy you use. (unless you’re using it as a way to decrease your use of central air). Fortunately, Energy Star does have a handy directory of the portable air conditioners they’ve rated that even makes it possible to compare how specific models perform in terms of energy efficiency. If saving on energy costs is important to you, you should also prioritize finding an air conditioner with a programmable thermostat that will automatically switch off when your room reaches the temperature you’ve set it for. And make sure you keep your unit clean and well maintained, as any AC having to do more work due to improper maintenance will end up using more energy. Portable air conditioners vent out hot air, which means to you will need to keep yours close to a window. Most portable air conditioners will come with a window venting kit and clear instructions on how to set the air conditioner up so that it vents properly. For the most part, they are all pretty simple to set up, which makes them easy to move from room to room. If you’re hoping to keep your air conditioner in a location that is a ways away from the window, then check the maximum width the window kit can extend to. Some models have kits that will allow you more flexibility on where you put the air conditioner, but others will need to stay close to the window. Depending on the model you buy, you may be able to buy an extension hose or vent kit that will allow you to move it to a more convenient spot. To dive a little deeper into the ventilation of your portable air conditioner, you will notice that you have two common hose configurations to choose from. These include single-hose and dual-hose AC units. Single-Hose AC Units: This design uses the same hose as both intake and exhaust for air. While it will still cool the space you’re using it in, it will have to work harder to do so, and is not as efficient as a dual-hose air conditioner. Dual-Hose AC Units: This design has one intake hose and one exhaust hose. Due to having two separate hoses, this type of portable air conditioner is not only more energy efficient, but it will cool your room approximately 40% quicker than single-hose designs. Both designs will cool the space you’re using it in. However, we would recommend using a dual-hose portable AC unit as they are more energy efficient, can cool your space at a quicker pace and has stable air pressure. This is especially important if you are looking to cool larger rooms. Air conditioners make noise. It doesn’t matter if it’s a window, ductless or portable unit, you will experience a little bit of noise from any air conditioner you buy. For the most part, this noise will be minimal and mostly described as “background noise” that you likely won’t even notice. However, it is still an important factor to consider while shopping for a portable air conditioner. If it’s important to you to find an AC unit that doesn’t add too much noise to your home whenever it’s turned on, you can find some designed to be quieter than usual. If manufacturers have put effort into making an air conditioner quieter, you can bet they’ll mention that in their marketing materials. But ultimately one of your best sources for knowing what to expect from the noise of an air conditioner is to read customer reviews. If you see complaints about how loud the AC is, then you know it’s not for you. In general, portable air conditioners shouldn’t be much trouble to install or they wouldn’t be able to claim that “portable” title very effectively. The main thing you’ll need to worry about is hooking up the window kit for ventilation. Your portable AC unit should come with clear step-by-step instructions on how to do this and anyone with basic around-the-house DIY experience should expect the process to be relatively quick and simple. 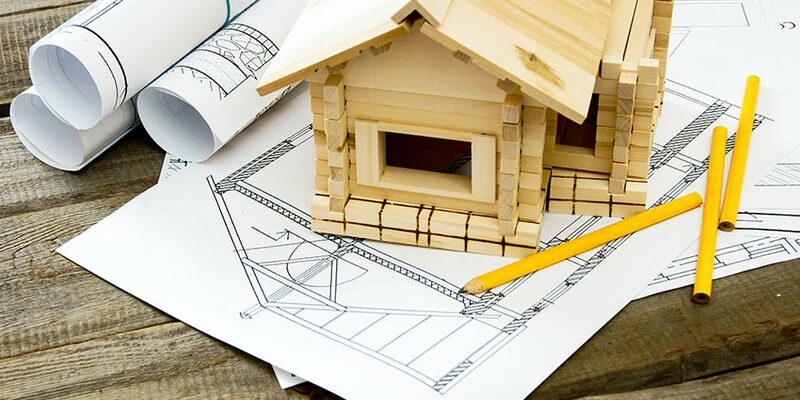 If you don’t have much DIY experience, it may be worth calling in a friend to help out, but you can get a feel for how difficult installation is likely to be in advance from the customer reviews. If you do plan on taking advantage of the portable nature of this air conditioner and often move it from one room to another, then it may be wise to buy an extra vent kit and install it in the second room. This will simply the process, as all you need to do is set up the hose(s), and not have to fool around with making sure the vent is installed in the window correctly. Most portable air conditioners will likely be pretty simple to use, but you have a few factors to consider that will influence how much effort they require. First, you’ve got the controls. Are they intuitive? Can you figure out exactly how to set the AC to do what you want? Next, you’ve got ongoing maintenance concerns, such as cleaning the unit and ensuring that the exhaust hoses are clear of debris. Most will include a filter that needs to be replaced, which is one more thing to remember and stay on top of so you don’t sacrifice the air quality in your home. None of these factors will add a ton of work to your life, but they are important factors to take into consideration while shopping for the best AC unit for your home. Consider how much you’re willing to deal with and whether or not it’s worth choosing a model based on how frequently you’ll have to deal with maintenance. Your portable air conditioner is going to take up some real estate in the rooms you spend a lot of time in. Some customers will be much more concerned with function over form, but if you care about the style and aesthetics of your living space, then you’ll want an air conditioner that pulls off both function and form. Portable air conditioners are made in a variety of visual styles. Most of them come in a basic range of colors (think black, white, and grey), but if you’re particular about how anything you put into your room looks, you should be able to find something that works with your visual preferences with a little bit of browsing. The condensate type for your portable air conditioner directly relates to the ease of use. Drip air conditioners will deposit all of the condensate to an internal bucket that needs dumping. For some air conditioners the bucket can fill up fast and you’ll find yourself needing to dump it on a regular basis. Partial drip air conditioners release most of the condensate through the exhaust hose, but still may deposit some water into a drip pan. You’ll still need to check the pan and dump it from time to time, but you can go a lot longer without worrying about it. The third, and easiest, option is a no-drip air conditioner. These release all of the condensate into the air, so you never have to worry about emptying anything. Obviously, this is the most popular type of portable air conditioner among homeowners. An automatic drain system turns all the liquid from condensation into exhaust so you never have to deal with emptying anything. One of the final factors it’s smart to keep in mind during your search for a quality portable AC is brand reputation. A brand known for making air conditioners that work well and last a long time will be a smarter buy than one that’s either untested or known for putting out inferior units. To bring you an idea of what to expect from different popular AC brands, we looked at the reviews for portable air conditioners sold by several of the top brands on the market in order to provide a summary of what actual customers have to say about their experience. Avallon makes a few models of portable air conditioners and one combo AC/heater that get largely positive reviews from customers. Most reviewers say their AC unit works great and looks sleek, with many reviewers commending them for effectively cooling larger spaces than advertised. Some reviewers said the units were a little loud, while others commented on how quiet they are, so what you’ll think will likely depend on your expectations. While there were a couple of complaints mixed in, the vast majority of reviews for this brand is wholly positive. Danby’s portable air conditioners get mixed reviews across various models, with the majority of their units garnering strong reviews from customers. People say they’re easy to use and set up, as well as pretty quiet in spite of being powerful. On the whole, their reputation is solid, but it’s worth checking out the reviews for the particular model you’re considering before purchasing. 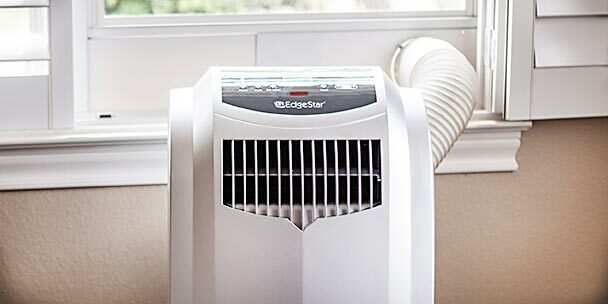 EdgeStar sells a wide range of portable air conditioners in different sizes and offering different levels of BTUs. Due to their reputation as being the leading brand manufacturing portable air conditioning units, most of their products get glowing reviews. Customers tout how these AC units are reasonably priced, last a long time and don’t involve much maintenance. 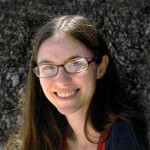 I also saw many reviews that discussed how friendly the customer service was from the company. 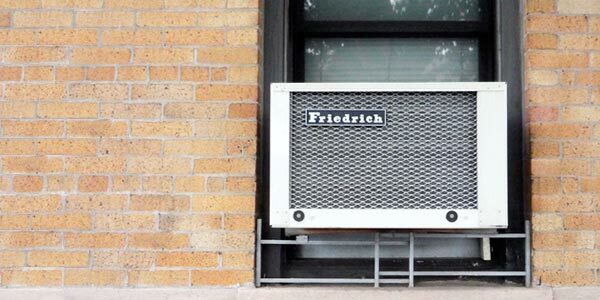 Friedrich offers a number of portable air conditioners that receive mixed reviews from customers. The majority of product reviews were positive, but a few customers complained of defective or leaky units. Other customers talk about the air conditioners getting rooms very cold without being too loud. Some models get a mix of both positive and negative reviews, so whether you’ll be happy may depend on what you’re looking for and the quality of the specific unit you end up buying. Like some of the other brands on this list, most of Frigidaire’s reviews are mostly positive, but there are a number of unhappy customers in the mix as well. Some portable air conditioning units received satisfied reviews across the board for being easy to use and cooling well, while others have their detractors who received deficient units or felt the air conditioner didn’t get cold enough. While they are a top brand for window units and dehumidifiers, it’s possible that they haven’t quite caught up in the portable AC market. Check the reviews for the specific model you are considering and make sure your expectations match what the air conditioner is designed to provide. Haier’s portable air conditioners earn mixed reviews. A few models earn predominantly strong reviews, but others have reviews largely split between both 5-star and 1-star ratings. While that means there’s a significant portion of customers who are completely satisfied with their unit, it also means there’s a significant portion of roughly equal size that are entirely disappointed in the purchase. Happy customers say the air conditioners cool well and come at a great price. Unhappy ones say the units are hard to install, don’t last very long, and are a chore to use. Koldfront makes portable air conditioners that receive a vast amount of positive reviews. Most reviews say their air conditioners are easy to set up, cool the space quickly and effectively, and are sold at a great price. Most of their air conditioning units seem to garner praise and work well, even with the occasional exception thrown into the mix. KwiKool sells a range of portable air conditioners made for commercial settings. Often their units are specifically designed with heavy-duty purposes in mind, such as cooling electrical equipment or server rooms. As such, their portable air conditioners tend to fall on the more expensive side. Reviewers praise the air conditioners for being powerful and durable. While KwiKool’s air conditioners don’t come cheap, if you need a portable AC that can do a tougher job that most homes require, this is a good place to look. LG offers portable air conditioners that get mostly positive reviews, with a few complaints mixed in (which appears to be the norm for AC brands). A lot of customers talk about how easy their air conditioners are to set up, how quickly and effectively they cool the rooms they’re set in, and how reasonably priced they are. The customers with complaints have a variety of them – from complaining the air conditioner doesn’t heat as big of a space as advertised, to it not being energy efficient, to it being loud (the most common complaint). More customers than not are happy with their LG air conditioners, so there’s a good chance you’re in good hands, but check the reviews if you want to know possible issues to expect. Movincool is another brand making commercial portable air conditioners, mostly designed for office spaces or warehouses. There aren’t too many reviews of their models online, but most of those out there are positive. They mention the slight inconvenience of having to empty the water jug frequently, but otherwise customers are happy with the performance. There’s a lot to consider when it comes to purchasing a portable air conditioner, but the first time you turn it on during a hot summer day, you’ll be glad you took the time to pick out the best one. 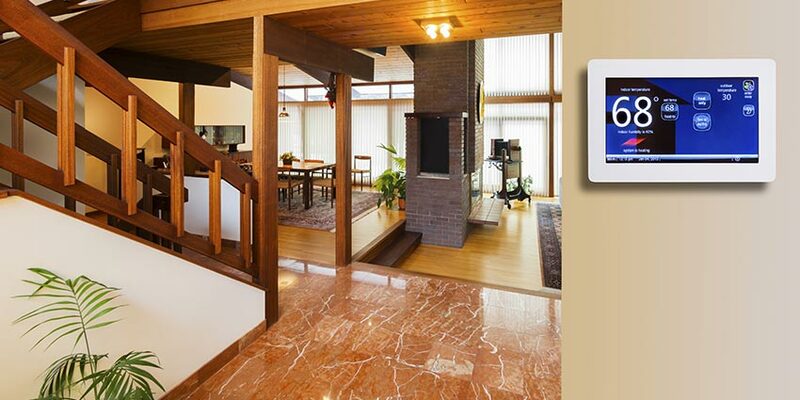 Summer doesn’t have to have a downside, at least not when you can control the heat in your home on your own terms. Are there any ventings for slider windows? That didn’t make sense to me either. Other sites say the single hose is purely exhaust, with the air intake pulling from the room. air? I took the 2nd tube went up 8ft. and condition that air ..Less energy used etc. Must all portable air-conditioners have a connection to outside?